As of this Tuesday, the North Avenue dining hall will be closed for repairs. Brittain dining hall will have its daily schedule extended in order to cope with the demand for food from the students living in the East campus residence halls. It is expected that Brittain will be East campus’ sole functioning dining hall for the remainder of this semester. The cause of the closure is a leak in the kitchen area, which is affecting the safety of the food that is served in the dining hall. This is not the first time that there have been issues with the overhead plumbing system, and this decision comes after the department of Auxiliary Services decided that repairs to the system could not be put off any longer. It is currently unclear when North Avenue will reopen; it is unlikely that renovations will be completed by the end of the current semester. 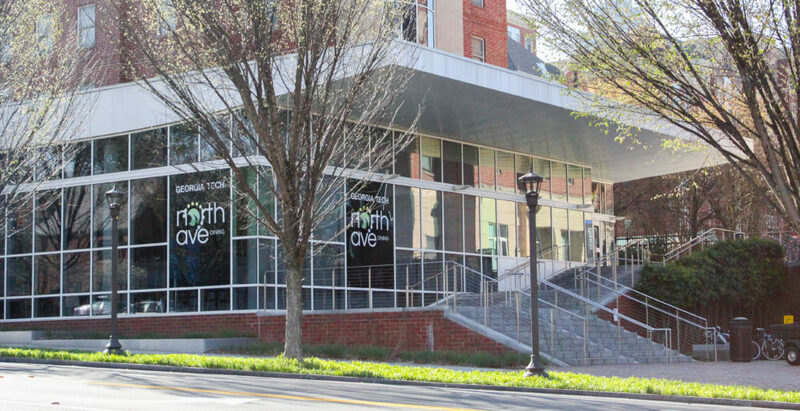 According to an article released by the Georgia Tech News Center, North Avenue dining hall is closed “until summer,” however no other specifics have been announced for when the facility is planned to reopen. Some Institute students expressed their concerns with the situation through the r/gatech Reddit page, lamenting that they thought Brittain would not be able to handle the increased volume of students in spite of its extended hours, as well as suggesting that non-athlete students should be allowed more use of the Edge dining facility. Currently the facility, located in the Edge Athletic Association Building, is open to all students from 12 p.m. to 1:30 p.m. and 6 p.m. to 7:30 p.m. every weekday. Representatives of the department of Auxiliary Services were contacted for comment, but had not responded as of the time of writing.